Sons of Anarchy Season 7 Poster. . Wallpaper and background images in the sons of anarchy club tagged: photo sons of anarchy season 7 final season poster charlie hunnam jax teller reaper. 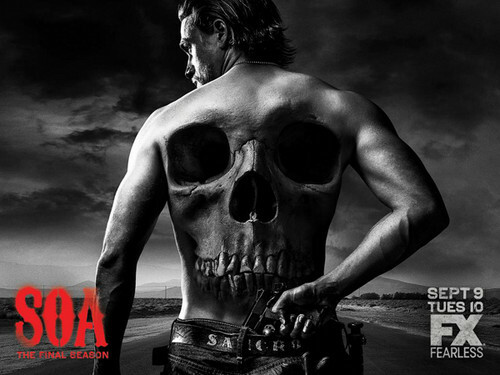 This sons of anarchy photo might contain pedazo and hunk.